A really classic pair of earrings! 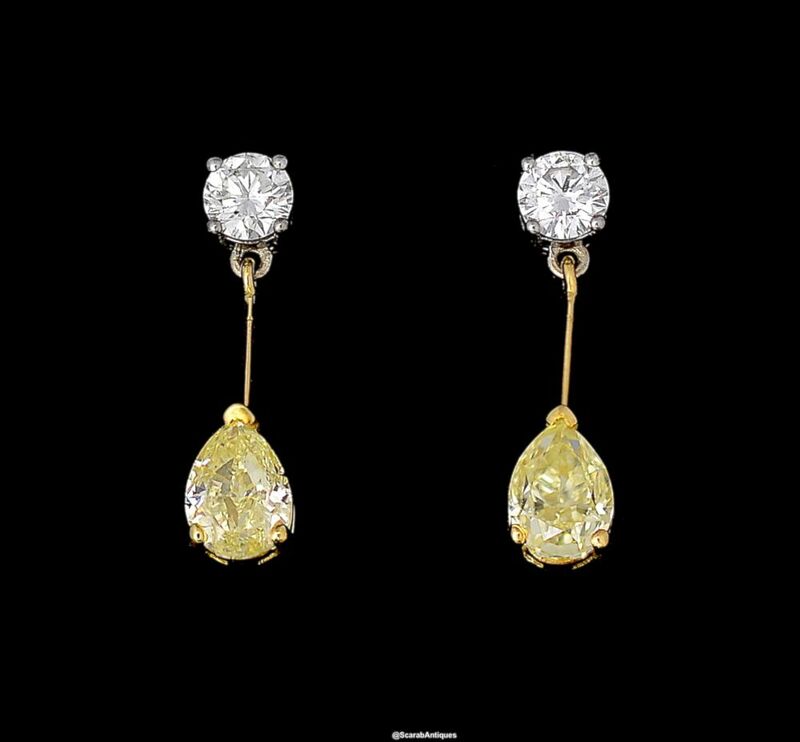 The top section of each earring consists of a round diamond in an 18ct white gold claw set stud suspended from which is an articulated 18ct yellow gold bar with a pear shaped yellow diamond set in an 18ct yellow gold setting below. There are posts for pierced ears and 18ct white gold butterflies. So wearable!